Don’t waste your time and money driving all over town! 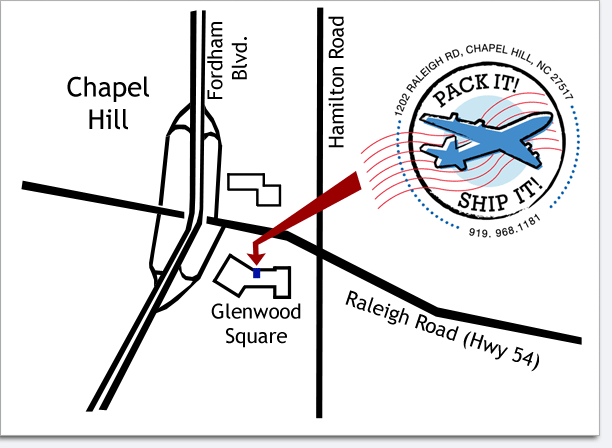 Pack It Ship It is the only place in Chapel Hill where you can ship UPS, FedEx, DHL and the Post Office all under one roof. A hands-on owner, Peter Renfro has been serving Chapel Hill residents since 1992. You won’t find a more knowledgeable and helpful person for your shipping questions. This website is designed to give you some basic information about our services. 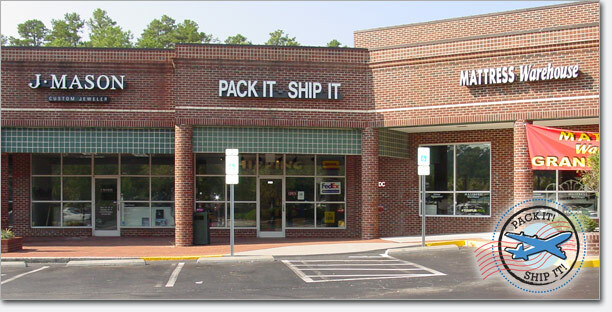 For more specific questions, please call us at (919) 968-1181, email Peter or visit us in the store. Business Hours Monday-Friday 10am - 6pm and Saturday 10am - 2pm.